The black widow spider is notorious. The female’s poisonous bite and reputation for killing and eating her mate serves not only as a health and safety concern, but also makes for interesting relationship dynamic. 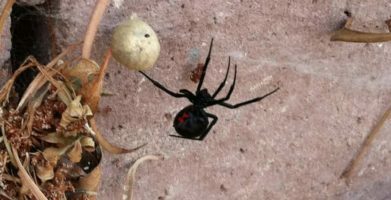 Black widow venom is 15 times more toxic than a prairie rattlesnake’s venom and can result in death, particularly if young children, elderly or people with compromised immune systems are bitten. However, the black widow is not an aggressive spider and will only bite if disturbed. Despite their fearsome reputation, black widows are an important part of their ecosystems. Like any spider, they feed off of other insects, making them beneficial pests to humans since they help with insect control. Black widow silk or webbing is especially strong. There are possible commercial and medical uses for both black widow silk and venom. Females usually have a red hourglass on their underside. Black widows are small, about the size of a paperclip. They are not dangerous to humans until they reach adulthood. They inhabit warmer areas, such as the desert and southern regions of North America. Their webs lack shape and form and are erratic in appearance. Females may live for over a year while males typically only live for a month or two. Although these arachnids are impressive in their own right, they are not the kind of creature you want to unknowingly cross or have in your home. 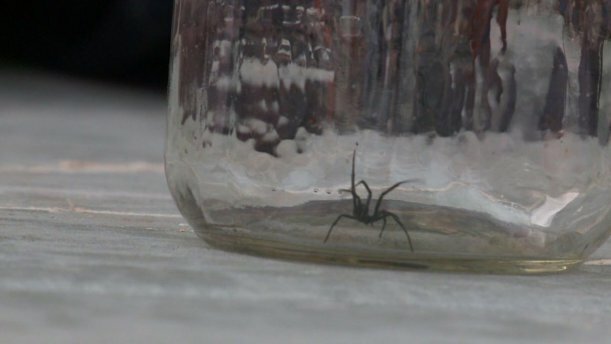 One Utah neighborhood has been experiencing a recent surge in black widow sightings due to rainier than usual conditions. The summer rain created ideal conditions for insect populations, which resulted in greater spider populations due to the increased food supply. To avoid spider infestations, as well as the use of poison for pest control, prevention is the best medicine. Know what types of habitat spiders favor and take steps to make your home less favorable to spiders. Spiders like quiet, undisturbed areas like garages, attics, basements and crawlspaces. They may make webs in corners, along the underside of shelves or outdoors in woodpiles or rock clusters. They may attempt to move indoors as weather cools. Keeping your home free of other insects will control spiders as well because there will be less food available for them. For more spider control and pest prevention tips, visit our Pest Library. The black widow spider is notorious. The female's poisonous bite and reputation for killing and eating her mate serves not only as a health and safety concern, but also makes for interesting relationship dynamic. 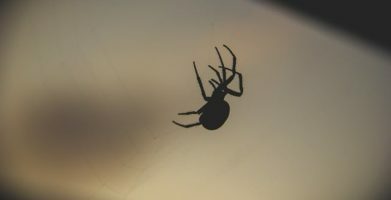 Black widow venom is 15 times more toxic than a prairie rattlesnake's venom and can result in death, particularly if young children, elderly or people with compromised immune systems are bitten. However, the black widow is not an aggressive spider and will only bite if disturbed. string(34) "Black Widow Control and Prevention"